Thank you for joining me as we count down to the next MFT release. We are six days away from the big day! All the new Stamps, Die-namics, and Stencils will be available on Tuesday, August 12th at 10:00pm EST. Be sure to check out the MFT Blog to see all the new items being revealed today. Don't forget to leave a comment on the MFT Blog Countdown posts, YOU could win one of the seven $75.00 gift vouchers. I have a couple of cards to share with you today. 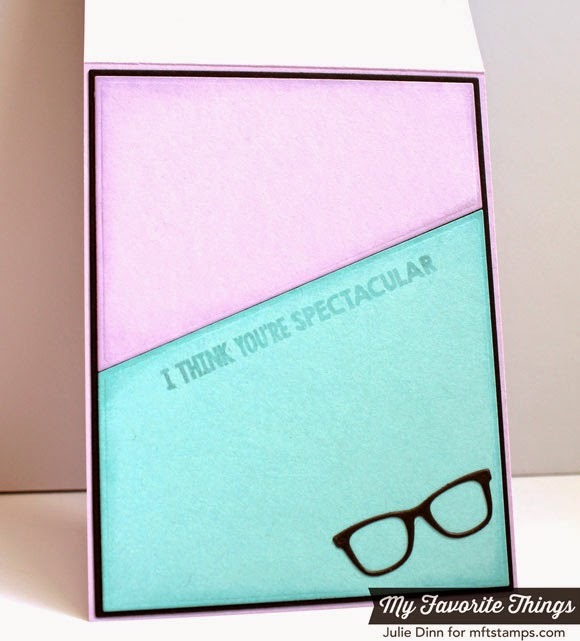 The first one features the new Geek is Chic Glasses and Geek is Chic stamp set from Laina Lamb. Before I die-cut the glasses, I adhered some Scor-tape to the back of black card stock. Adhering the glasses in place is a breeze when the adhesive is already attached. I filled each of the glasses with a thick layer of Crystal Effects. 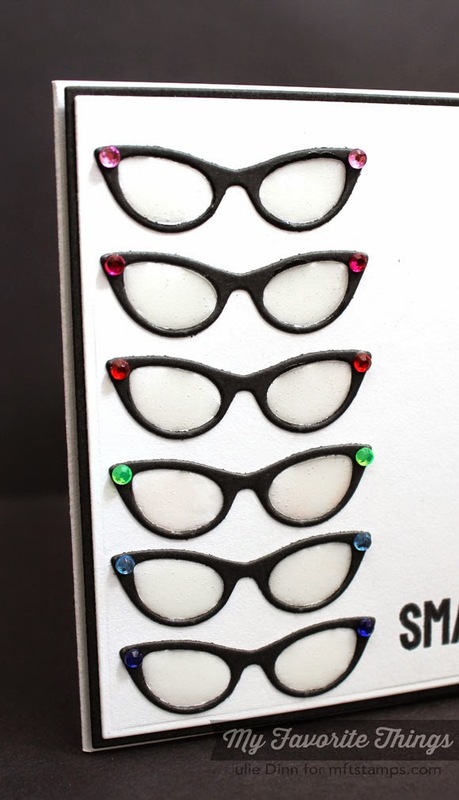 The glasses were each given a little bling with some colourful crystals. 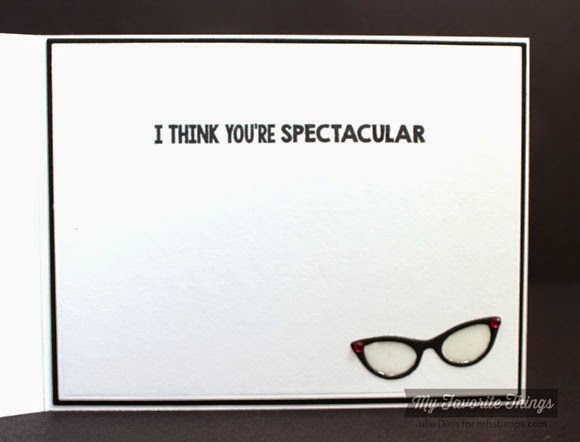 The Geek is Chic stamp set is full of fabulous saying like the two I used on this card. 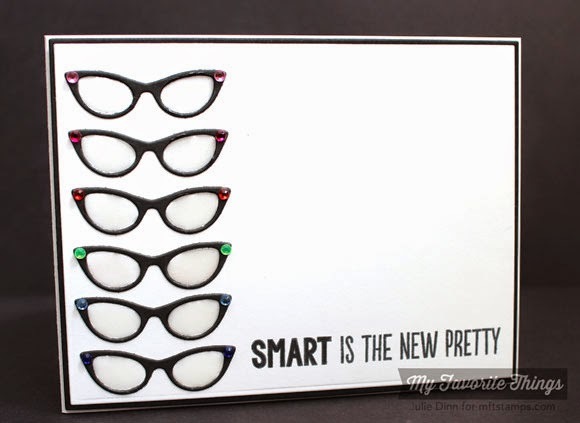 I just LOVE that Smart is the New Pretty stamp! For my second card, I paired the new Eye Charts stamp set with the Spotlight Sentiments and Blueprints 18 Die-namics. The eye chart was stamped in Versamark and embossed with Zing Embossing powder. The edges of the card stock were sponged with Kraft ink. 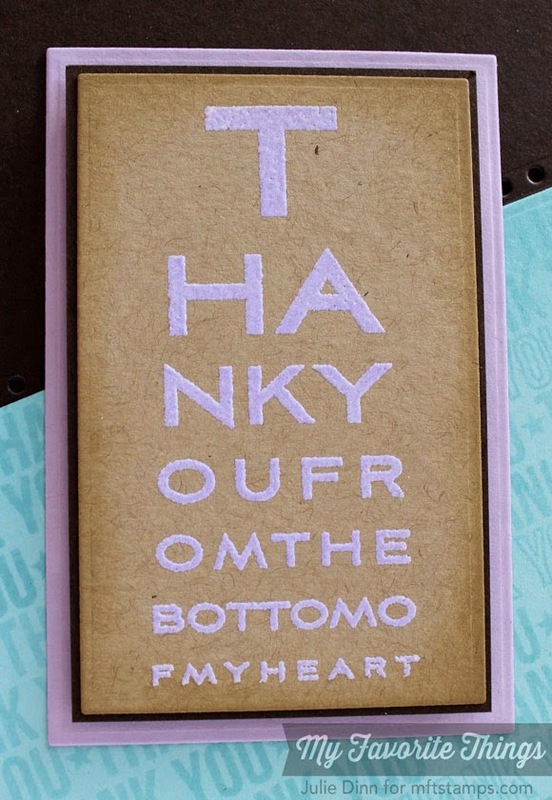 I stamped the Berrylicious card stock with the thank you stamp from the Spotlight Sentiments stamp set. I LOVE that these stamps are long enough to fit a diagonal panel. 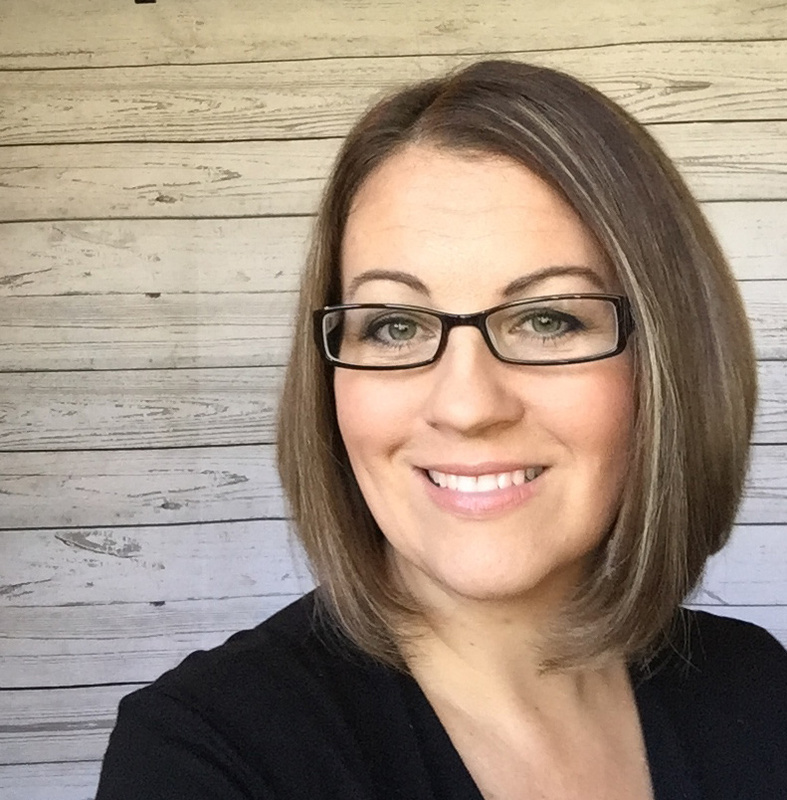 I kept the inside sweet and simple with a sentiment and a pair of glasses. Thank you all so much for joining me today. 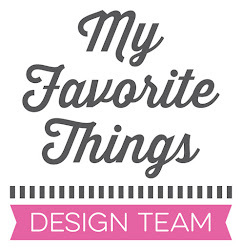 Be sure to check out the MFT Blog to see all the gorgeous creations the rest of the team has designed to share with you. I'll be back tomorrow morning with a new Color Palette Challenge card. Absolutely loving the new glasses dienamics. Sassy geek is most definitely chic! The gems on the glasses looks great! Great bling on the glasses! These are great honey! I love the bling on the glasses! Just makes it really pop! Great Cards! Can't wait to make some with the new products! These are just fabulous!! Loving the bling on the glasses in the first one! Love the way you used the glaze for the lenses and the crystals to add some bling. Adorable cards. Cute cards! This new set is a must have! Love the jewels on the glasses.Great designs. Whoever saw a purple eye chart before? I would love to see one in a doctor's office. Great card and good job. Such a fun card with the glasses. Love the little bling you added to them. Thanks for sharing your ideas with us.